Whenever we turn on the news, we hear all different types of sad and negative news stories. At Wheels For Wishes, we help to make children’s wishes come true through our car donation program, benefiting Make-A-Wish. However, we also like to put a smile on the faces of our supporters, which is why we like to share those positives news stories with you that may have slipped through the cracks! In case you missed it, the story of an injured squirrel receiving care at City Wildlife in Washington, D.C. is sure to make your day. In April, a baby squirrel fell from a tree and broke her ankle, which called for the need of a long red cast. The photo was shared on Facebook and instantly became a hit. The photo was shared over 1,000 times and even made the local news! According to the Washington Post, a concerned citizen witnessed the squirrel falling from a tree about 75-feet high. The injured squirrel fell alongside her brother, which is a common tradition for squirrels at about seven weeks old. Both squirrels were injured and while the sister suffered a broken ankle, her brother suffered a bloody nose. Both squirrels recovered well and will soon be released back into the wild with a group of other rehabilitated squirrels. Now, didn’t that photo make you smile? We all love when a celebrity does something good, and this story from The Huffington Post Good News had us smiling. Washington Redskins quarterback Robert Griffin III (RGIII) made a high school student’s day when high school student Morgan Assel asked for his assistance in asking her classmate, Juwaan Espinal to the prom. Espinal, who has cerebral palsy, received a “promposal” from Assel with the famous quarterback by her side. RGIII is Espinal’s favorite Redskin’s player so the appearance was a huge deal! RGIII visited the Virginia high school and Assel held up a banner that read, “I know I’m not as cool as RGIII but will you go to prom with me?” Then, RGIII stepped out from behind the banner and Espinal showed a mile-wide grin, indicating that it was a yes! Watch the amazing video and see for yourself! If you follow Make-A-Wish, we’re sure you didn’t miss Addy’s wish to be a pop star in her own music video. However, the video is so heartwarming that we just had to share it again! The pop princess took a break from chemotherapy and radiation treatments to practice singing and dancing, which brought her to the amazing experience of having Make-A-Wish Mid-Atlantic grant her wish. Addy wished to be a pop star performing the song “Roar” by Katy Perry, and her story and music video inspired people everywhere! If you haven’t seen the video yet, be sure to watch five-year-old Addy’s music video and share the video with your friends. It might be just what they need to see to bring a smile to their faces as well! If you love a story with an exceptionally happy ending, this story from the Huffington Post Good News is going to make you incredibly happy. Back in February, Oliver Roberts found a waterfowl struggling to hatch out of his shell in an animal park in Australia. Roberts works at the park and heard the duckling chirping near a bush by a pond, and saw the duckling struggling to hatch from his egg. It appeared that the duckling had been abandoned by his mother who left with her other babies. 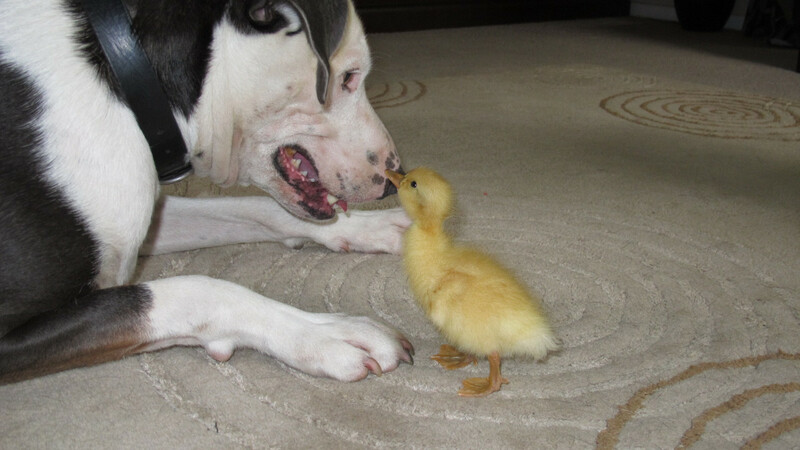 Roberts waited all day before taking action, but when he realized that the mother would not be returning, he knew it was best to rescue the duckling on his own. Roberts knew that ducklings have a low survival rate due to predators at the park, and the duckling, who he later named Goose, turned out to be the only surviving duckling from all those who hatched by the pond that day. Roberts took Goose home with him and introduced him to his family, including his dog! The two became the best of friends, as can be seen in this adorable photo. At two months old, Goose blossomed from duckling into a male duck and now lives outside with Roberts’ chickens. Roberts plans to bring more ducks home to befriend Goose! As humans, we sometimes take for granted the things we are able to do. 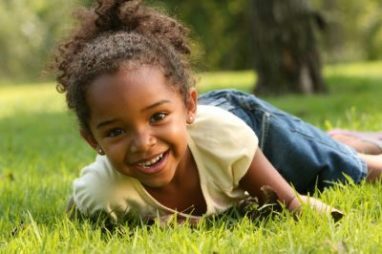 Children long to explore, run, and play, but not all children are given that opportunity. Wish Kid Nate has spent much of his life confined to a wheelchair, making it nearly impossible for him to ride a bike. However, when Make-A-Wish comes into the picture, anything is possible! Thanks to Make-A-Wish, Wish Kid Nate experienced his first bike ride with the help of the Discovery Tricycle. The bike, made by Freedom Concepts, makes it possible for people with disabilities to ride a bike. Nate wished for a bicycle and with the help of Make-A-Wish, his wish came true! Nate was picked up in a stretch limousine and taken to his school gym, where the bike was waiting. Nate was absolutely stunned to finally come face to face with his new bike! Nate’s bike, complete with a safety harness, riding gloves, and an indoor trainer, also helps to strengthen his leg muscles. Nate can finally be free to ride the bike of his dreams! Positive news stories remind us that there is so much good in the world, and when you donate a car, you can contribute to making the world a better place. Your car donation will create a memory that will last a child a lifetime. If these positive news stories improved your day, just imagine what a wish granted could do for a local child in your community. A wish granted provides hope, strength, and joy during a very difficult time in a child’s life. Donate a car today by calling 1-877-431-9474 or simply fill out an online donation form. Donating a car only takes a moment of your time, but can change the life of a child forever!